Another We Day has come and gone from Alberta. The dome filled up with enthusiastic students from all over the province this past Tuesday and I was once again among the lucky ones asked to attend with the crew from TELUS. This year there was the same incredible energy, the same unbelievable hope and the same fierce messages of inspiration from the speakers. The message was much more streamlined this time around which is a great thing because all of it together is SO MUCH to digest and comprehend. 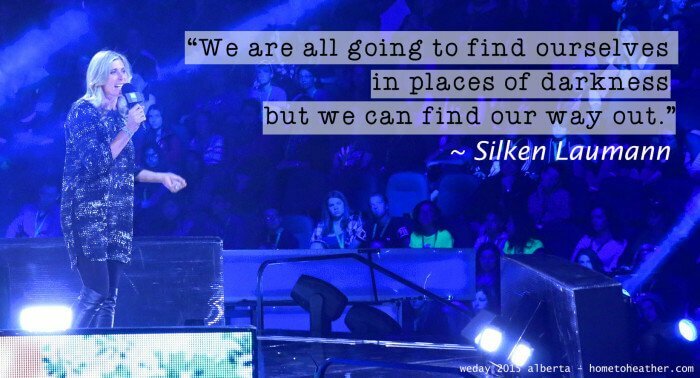 If you haven’t heard of We Day before, it’s a celebration of the Me to We movement. In the simplest form, the Me to We movement challenges individuals to think about the world they live in -to think about ‘we’ instead of ‘me.’ The movement inspires us to think about the challenges we face and the areas that we need to improve and most importantly, it inspires us to act. The actions of the Me to We movement fund Free the Children. Free the Children is the organization that works to provide food, healthcare and education to children at home, and around the world. 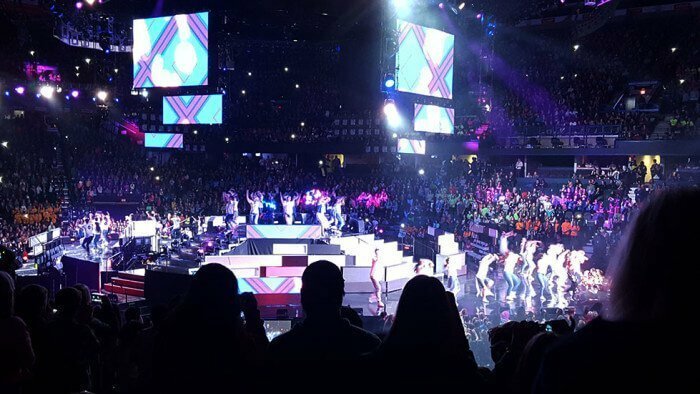 The kids who attend We Day didn’t buy a ticket – in fact they cannot buy tickets to this event. Instead, they earn their way there through actions in support of the Me to We movement. They fund raise, they collect food donations, they inspire, they do whatever they can to make a difference. Many of them use the We365 app to log their volunteer hours and challenge their friends. Their reward for committing to one global and one local act is the chance to attend We Day. Would it surprise you to learn that over 16,000 students in Alberta joined the movement and made a commitment to better their world? It shouldn’t. The speakers were so incredible, as they always are for We Day, talking about the challenges they’ve overcome and the journey that they’ve walked to bring them to where they are now. 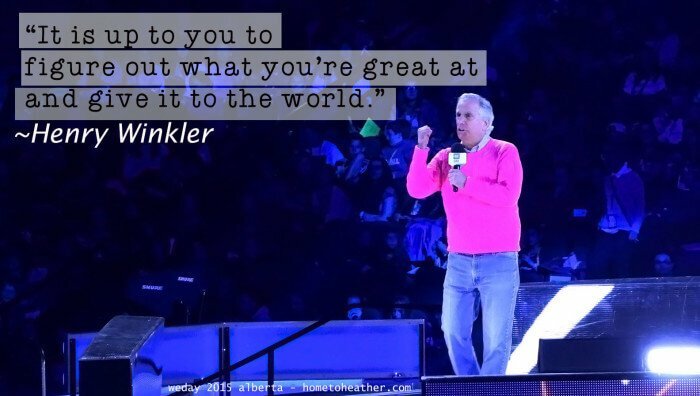 Henry Winkler spoke about his learning disabilities, of which little was known when he was in school in the 60s. He was told that he would never be successful and while he may not have been a successful student, he went on to be a successful actor, writer, producer and family man. He spoke about ignoring the limitations that others might place on you. 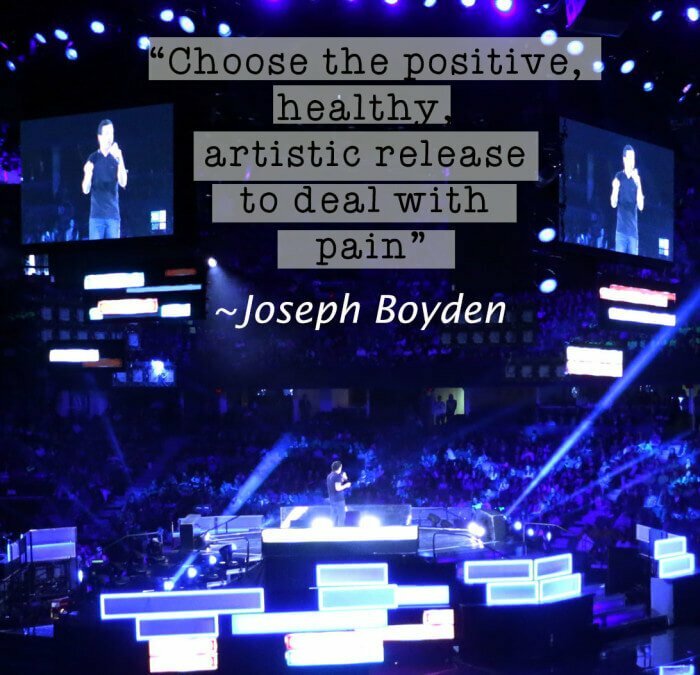 Joseph Boyden really gutted me with his telling of depression and mental illness. He has struggled with self harm and suicidal thoughts and has written several books including The Orenda, winner of Canada Reads and nominated for several other awards. I gorged on this book, I bought it for friends and family and even coerced my book club into reading it. His passion for story pours out of the pages and he spoke about choosing to fight. These messages of empowerment, of fighting for what we believe in, of embracing our true selves, were gobbled up by attending students. My daughter who is now 8 attended with me and I hope she continues to be invested in the Me to We movement. She is heading to tell her class all about it next week – that’s something she can do right away to start her own Me to We journey. What can you do right now? You can share this music video! TELUS has pledged to donate $10 to Free the Children for each share of Francesco Yates’ Call for Change music video. Francesco is a young Canadian artist who performed twice on the We Day stage – he is so talented, this kid is going to make it all the way. So watch it and share it on social media, it only takes a moment and you’ll be giving a much needed gift in doing so. *as a member of #teamtelus I am provided with products and services (and the opportunity to attend We Day) so I can best share info and inside tips on what’s sweet with TELUS. My daughter likely has 100 books on her shelf. These are her top 5. I am so sorry I missed this. But, I was in LA with Tyra. NEXT YEAR I HOPE!!! Loved the whole day and Joseph’s message got me in the heart strings.